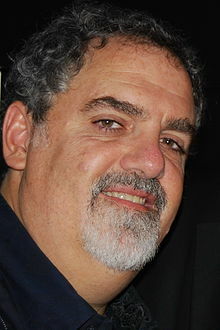 Jon Landau (/ˈlændaʊ/; born July 23, 1960) is an American film producer, known for producing Titanic (1997), a film which won him an Academy Award and earned $2.19 billion in gross revenues, and Avatar (2009), which earned $2.79 billion. As of 2018[update], these are still the two highest-grossing films of all time. Landau was born to a Jewish family in New York City, New York, the son of Edie, a producer, and Ely A. Landau, a studio executive and producer. He attended the USC School of Cinematic Arts. Throughout the early '90s, Landau was Executive Vice President of Feature Film Production at Twentieth Century Fox. He is best known for producing Titanic (1997), a film which won him an Academy Award and became the highest-grossing film of all time, the first ever to reach $1 billion in gross revenues. The film reached $1.84 billion, more than double the $914 million of then-record-holder Jurassic Park (1993). Titanic later went on to gross another $300 million in 2012, pushing the film's worldwide total to $2.18 billion, becoming the second film to ever hit $2 billion, as a result. In 2009, Landau and James Cameron produced the science fiction blockbuster Avatar, which has since surpassed their earlier collaboration, Titanic, to become the new (and reigning) highest-grossing film of all time, with $2.79 billion. Avatar earned Landau his second Academy Award nomination, losing that year to The Hurt Locker. ^ Pat Sierchio (March 1, 2010). "Producer Landau: Interpreter of Dreams". JewishJournal.com. Retrieved June 8, 2013.